Cancer Warrior Inc. harnesses the power of many to help treat those who feel powerless alone. Cancer is now the third leading cause of bankruptcy for the American household. No one should have the stress of financial burden while making treatment choices. Cancer Warrior Inc. helps those with cancer receive financial support for the treatment of THEIR CHOICE. CWI empowers and expands an individual's right to choose their preferred treatment and avoid financial burdens. A book to guide you. 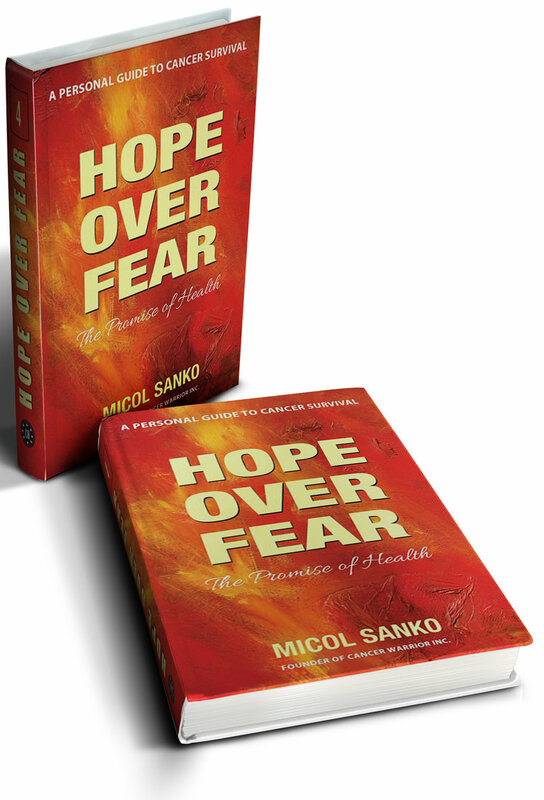 PURCHASES FUND CANCER WARRIOR INC.
Hope Over Fear is your personal guide, a helpmate to formulate the best strategy in the fight for your life. Each month, CWI offers a beautiful Item of the Month as a donation incentive. Find more details on our Donate page. Receive FREE with your generous donation.